Welcome to the Anacortes Waterfront Alliance. We are thrilled that you have taken an interest in who we are and what we do. Over a decade ago, passionate members of the community came together to stand on behalf of small boaters and the resources they need to access our incredible waterways. This was the birth of the Anacortes Small Boat Center. As the years passed the ASBC cemented many successes - establishing the upland dry storage yard at Cap Sante Marina, and securing the future of the small boat hoist on the P/Q pier are just a couple examples. When the fall of 2016 came, it was decided that instead of simply resting on their laurels, the organization would lead the effort toward our city’s next boating based longing - the hiring and managing of a full-time community boating director. 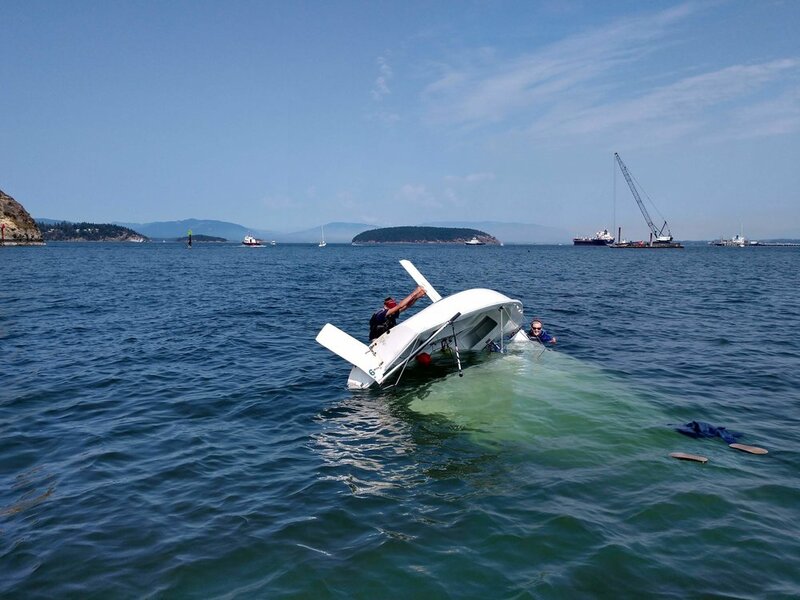 The director would be charged with the task of continuing to manage and grow the organization’s preexisting programs as well as to forge a new community waterfront program all while fostering working relationships with the city and the port for the benefit of small boaters. In the spring of 2018, the ASBC once again brought its vision to full fruition with the hiring of its first director. Hi, my name is Kevin Pratt and I have been privileged with the opportunity to continue the legacy of the Anacortes Small Boat Center through the directorship. This season of growth has brought a lot of energy and change to the organization, not the least of which was our decision to rename and re-image our public branding to accompany our fresh vision and new goals. This is how the Anacortes Waterfront Alliance came to be and we are confident in its ability to represent our boundless potential and broad spectrum of influence. Through this transition we are proud to stand firm with the same passion and purpose that has driven this organization since day one - encouraging people toward interaction with their waterfront, and providing them with the resources they need to continue in their newfound passion. As we look to the future, the AWA board and myself are confident that our goals, namely the development of the community waterfront program and the reclamation small boating priority at Seafarers Memorial Park, are in the best interests of the greater community and well within our reach. Your membership is critical in enhancing our voice and so we thank you for standing with us. If you are not yet a member of the AWA, please consider partnering with us to help expedite our efforts and encourage us along the way. The following news blog is just one way that we work to keep you in the loop regarding the ins and outs of the our wonderful small boating community. Enjoy. Each year as August comes to a close I begin to notice the signs: the bedroom window begins to close at night, my trusted fleece jacket makes common appearances at evening campfires, fewer boats sway in the anchorage with each passing day, and the morning dew lies heavy on my windshield - Fall is upon us. 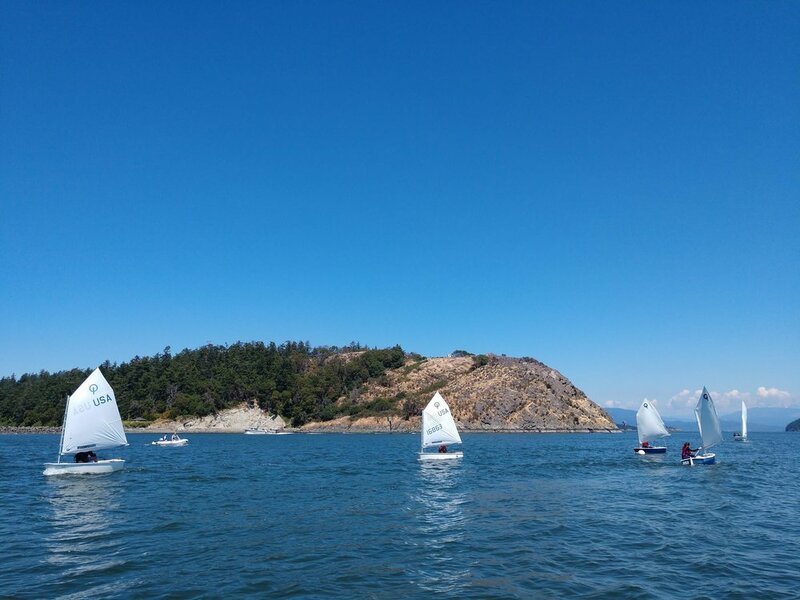 As we put yet another magical Anacortes summer behind us, we take a moment to look back at our accomplishments and begin to gear our efforts toward the next season of growth. Our season started off with some significant organizational changes. As you may be aware, our organization has undergone a full rebranding. This includes name (Anacortes Waterfront Alliance), web presence, mission statement, comp plan and executive leadership. Our new mission statement is a direct reminder of our three core values: Access, Community and Advocacy and can be found online. The launch of our new website in early May has led to an dramatic increase in web traffic and has been an aid in communicating our objectives to the public. 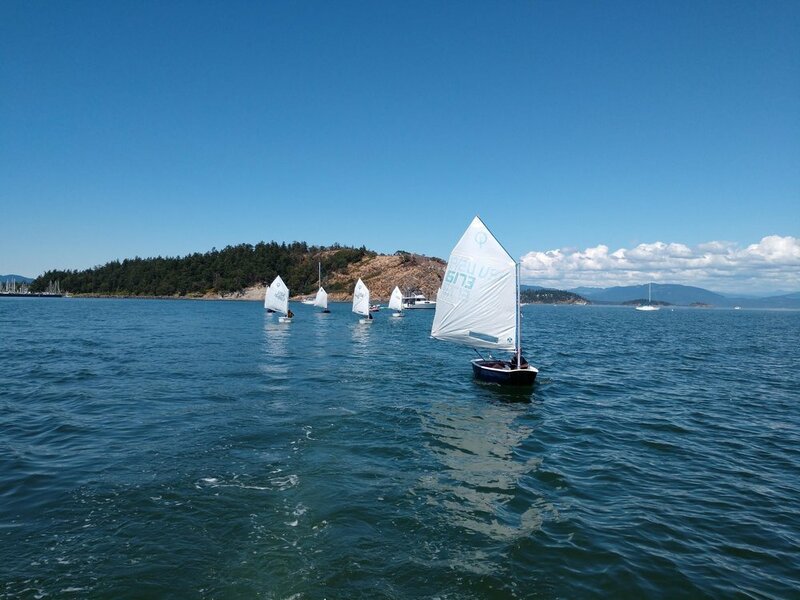 The organizational comp plan is now specifically dedicated to youth and adult boating, waterfront access, and the creation of Anacortes’ first community boating center. As a result of these efforts we have seen a 100% increase in paid membership, and a 100% increase in affordable storage usage for small boats in Fidalgo Bay. This combined with multiple local news features has stirred great optimism toward the organization's future. After taking direct responsibility for summer learn to sail programs, the AWA has seen incredible growth in just one season of operation. 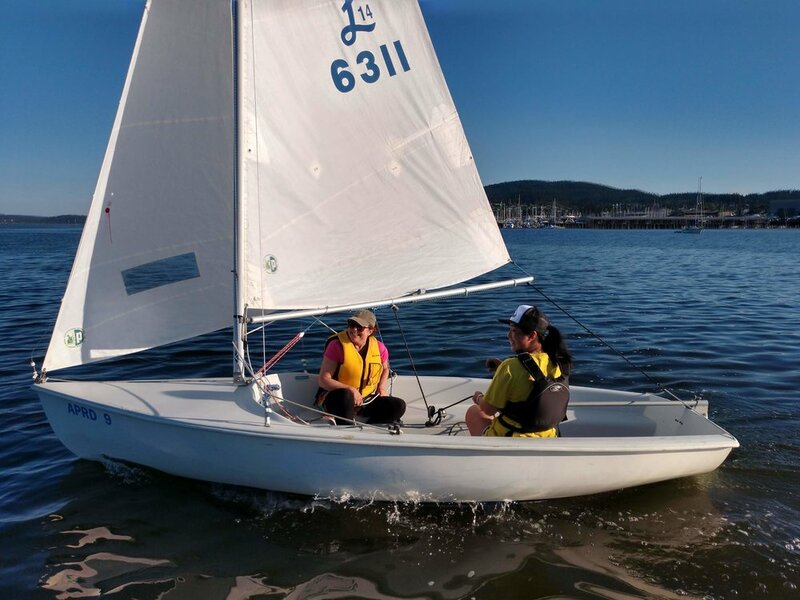 For the summer of 2018 we were able to successfully partner with Anacortes Parks and Recreation to offer six weeks of youth learn to sail program, seven weeks of high school summer sailing practice, and three weeks of adult learn to sail program. These offerings run five days a week and range from beginner to advanced in skill level. This season represents an 80% increase in overall offering compared to recent years and amounts to only half of what we have our eyes set on for future seasons. In addition, we are already engaged in efforts to begin replacing and increasing sailing program assets. 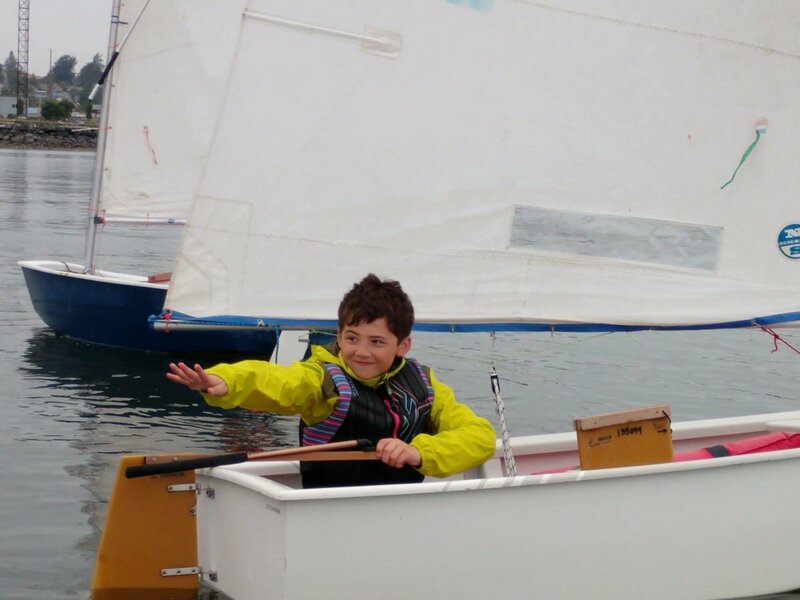 This includes a brand new safety RIB (rigid inflatable boat), new youth learn to sail fleets and additional high school racing boats. We continue to take steps to advance our relationship with the Port of Anacortes in regard to our boating needs at Seafarers’ Memorial Park. Through petition of the executive director we have been able to reserve the facilities for community boating related events throughout the 2019 and 2020 seasons. 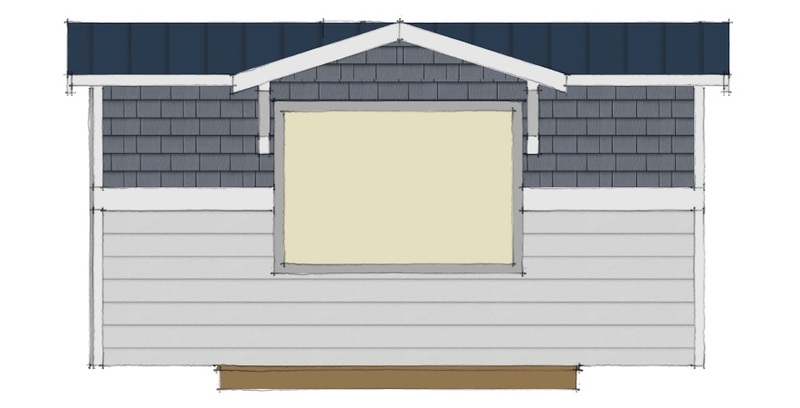 As a result of this effort we will have a guaranteed home for all summer programs, high school sailing practices and regattas, and meeting spaces for boating related organizations. This is a strong step toward our end goal of housing the waterfront program at Seafarers’ Park through a symbiotic relationship with the Port. Discussions and planning will continue into the fall as to what next steps might look like toward this end. As is often true in life, one brave action makes way for a slew of great accomplishments. When the board of the Anacortes Small Boat Center (AWA) made the decision to hire the first director in April of this year, they effectively flicked over the first domino in the chain. We are honored to have you with us as we continue to watch them fall. Please know that your membership with the AWA is integral to our efforts and we are deeply appreciative. Past and future accomplishments do come with some cost, therefore our fundraising efforts will continue and ramp up into the fall as we seek the finances necessary to enhance the journey. We will commit to keeping you updated with future goals, and opportunities to get involved. I am not a boater. Yet, I live on an island surrounded by boats and in a community whose history and present are immersed in maritime traditions and industries. I work for the Waggoner Cruising Guide, the Bible for Northwest Boaters. I manage the online presence of the Anacortes Marine Trades Association, and I am the treasurer for the Anacortes Waterfront Alliance. But, I am not a boater. Unlike most of the locals in Anacortes who hike the trails on Fidalgo Island or complete the LOOP at Washington Park, I like to walk the docks at Cap Sante Marina. Spending a day on the water whale watching with Island Adventures is a favorite excursion. As a photographer, my favorite subject is boats, especially the large ships being built at Dakota Creek Industry, Crowley Tugs, and Washington State Ferries. A bucket list dream for me was to tour a Washington State Ferry. 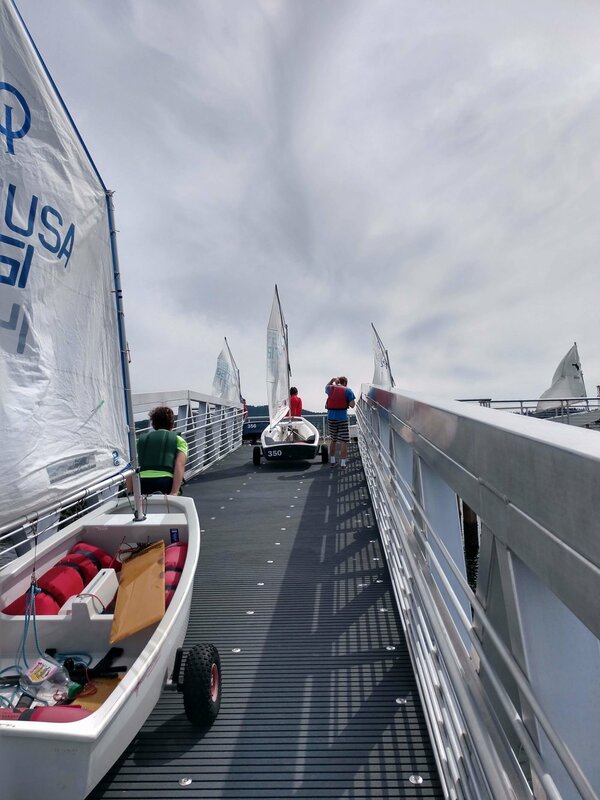 That dream came true when I won a Washington State Ferry photo contest and the prize was a behind-the-scenes tour of a ferry route of my choice. It was a chilly November day and the crowd buzzed with anticipation for the launching of Polaris, a traditional Viking ship. I was in awe of the craftsmanship and the beauty of this amazing work of art. Later, the builder, Jay Smith, did a talk on Norwegian Boat Building. Most of what he said I did not understand, yet, I was drawn in and wanted to know more. Each year, the Anacortes Waterfront Alliance (a.k.a. 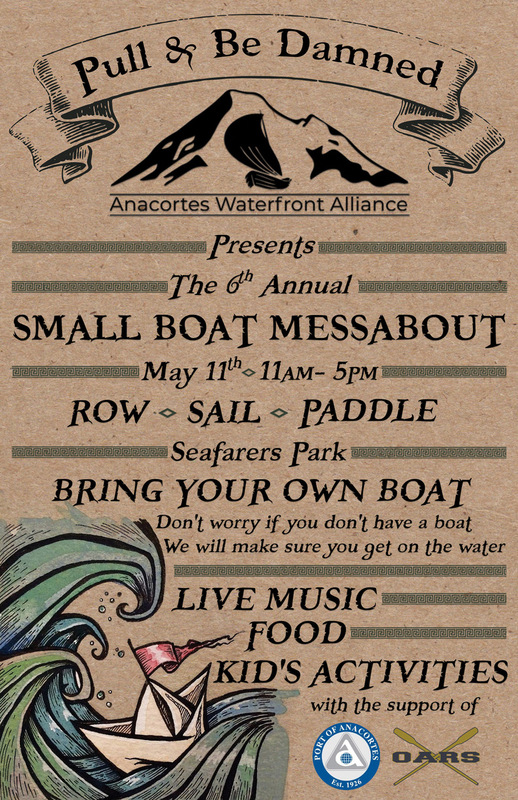 Anacortes Small Boat Center) celebrates getting out on the water with the Pull and Be Damned Messabout. They invite the public to take a ride out on small boats provided by local organizations. I watched in fascination as each boat rowed out into the bay. 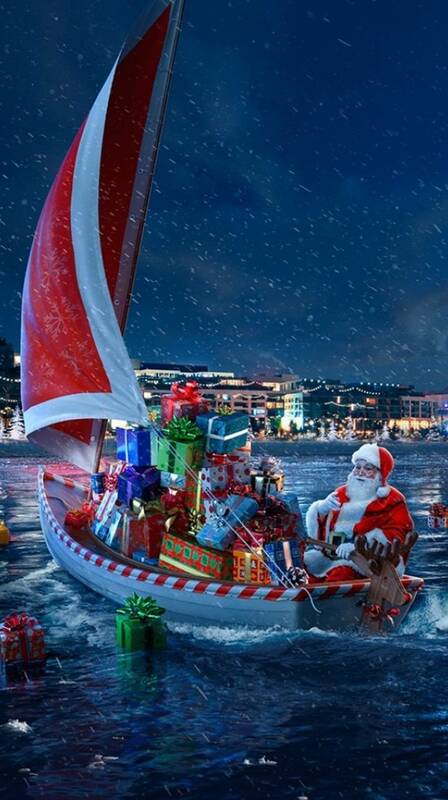 I may not be a boater but with events like the Messabout, working for a company that dedicates itself to boating, and being exposed to boats on a daily basis, I certainly feel compelled to join the family.